This hotel is nestled just metres from the banks of the River Danube and is surrounded by medieval streets, delightful wine bars and a great choice of restaurants. Tastefully decorated rooms all have air conditioning, free wi-fi and satellite TV, while the hotel itself has a restaurant, bar and bistro, business centre, fitness centre and a natural spa which sources its therapeutic thermal water directly from nearby Margaret Island. This 4-star, TripAdvisor Certificate of Excellence winning spa hotel is just meters from the Danube river in central Budapest. Dine in the on-site restaurant, serving Hungarian and international fare. Meal times are frequently livened up with the addition of live music. Leisure guests can swim in the heated indoor pool and relax in the Jacuzzi and steam baths. Business guests can use a number of large conference rooms. Air-conditioned rooms have a minibar, flatscreen TV and complimentary wi-fi. This TripAdvisor Certificate of Excellence winning 4-star hotel is just a few moments' walk from the eastern banks of the River Danube, close to Budapest's most cosmopolitan areas. The hotel's 138 rooms have minibars, flatscreen TVs with satellite channels, complimentary wi-fi and air conditioning. Dine in the on-site restaurant serving contemporary Hungarian cuisine, directed by a Michelin-star awarded head chef. Corporate guests can make use of the five on-site meeting and conference rooms. Set in Hungary’s beautiful capital, this 4-star hotel provides a great base for those wishing to explore the heart of Budapest. In each of the cosy rooms you’ll find air conditioning, a minibar, satellite TV, free wi-fi access and soundproofed windows, so you can get a great night’s sleep. If you fancy a touch of relaxation, the Health Spa & Wellness centre is the place to go, and afterwards head to the restaurant, where you can experience Hungarian cuisine to the sound of live music. Nestled on an island in the Danube in Budapest, Hungary, and surrounded by parkland, this classically decorated 4-star hotel is linked to the next-door spa by an underground corridor. Make the most of several pools, a whirlpool, thermal bath, sauna, steam room, salt cave and fitness room, plus a hair and beauty salon and spa treatments. The hotel also has five restaurants and bars, free wi-fi throughout and room service. All rooms have air conditioning, an LCD cable TV, a radio and a minibar. 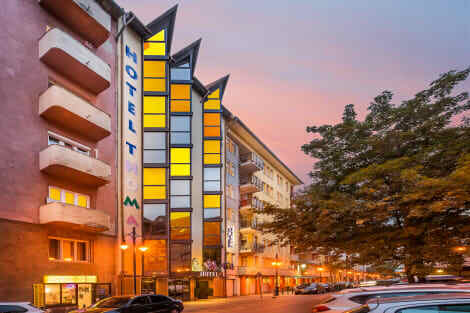 Set in the Pest side of Budapest, this 4-star hotel is moments from the HUNGEXPO international fair centre and within each reach of the city’s main attractions. The spacious, air-conditioned rooms feature a range of contemporary comforts including free wi-fi access, cable TV and private bathrooms. Swim a few laps in the indoor pool, relax with a revitalising massage or keep in shape at the on-site fitness centre, followed by delicious Hungarian cuisine at the hotel restaurant. Close to the city's impressive Parliament building, this contemporary 4-star hotel is a great place to explore Budapest from. The hotel's restaurant serves local and European flavours in cool surroundings, and there is also a gym and sauna on-site if you fancy working up a sweat. Decorated with attractive touches of rich colour, the hotel's rooms have private bathrooms, flat-screen TVs and free wifi access. Make yourself at home in one of the 37 guestrooms. Complimentary wireless Internet access is available to keep you connected. Bathrooms with showers are provided. 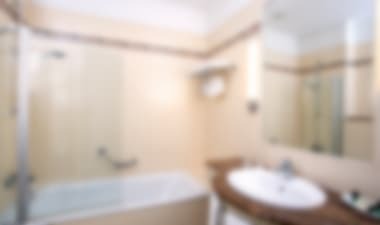 Conveniences include desks and blackout drapes/curtains, and housekeeping is provided daily. A superb hostel at a good price in a great location.. The modern and stylish Akacfa Holiday Apartments has a superb central location close to all the main areas of Budapest.The apartments are spacious and fully equipped. The reception is open 24 hours a day. The wireless internet is free of charge in the rooms. 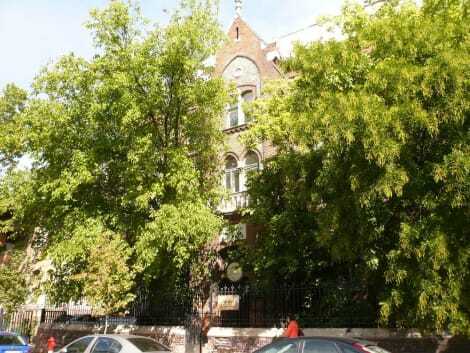 Hotel Molnár's two neighbouring buildings are located in a quiet and green area of Budapest, 10 minutes by car from the centre. It offers free parking and a fitness area. Some rooms at Hotel Molnár are air-conditioned and have a balcony. They all feature satellite TV. There is also a charming garden with a swing for children. Sauna is also available for a surcharge. The hotel offers comfortable accommodation for the individual traveller, families and small groups too. It's suitable for the elderly traveller and even student groups. 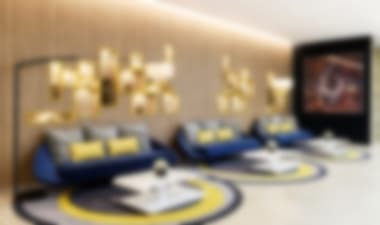 This hotel is the best choice for all those looking to combine business and leisure in a unique way. Guests will be sure to have an unforgettable stay in a beautiful city. It offers 32 rooms over 4 floors and can accommodate 88 persons. Facilities include a lobby with a 24-hour reception, safes, a currency exchange, and lift access. It has a drinks bar for 30 persons where coffee, soft and alcoholic drinks are available for guests as well as a caf� and a newspaper kiosk. A breakfast room is also provided along with conference facilities and Internet access for an additional charge. Parking is also provided for those arriving by car. Make yourself at home in one of the 30 air-conditioned rooms featuring refrigerators. Complimentary wireless Internet access is available to keep you connected. Bathrooms have bathtubs or showers and hair dryers. Conveniences include in-room child care (surcharge), and both irons/ironing boards and cribs/infant beds (complimentary) are available on request. Hostel Marco Polo is an extremely spacious five storey building with ample bedrooms and bathroom facilities. Accommodation is available in double, quad and dormitory rooms, all with modern decoration and large private lockers. 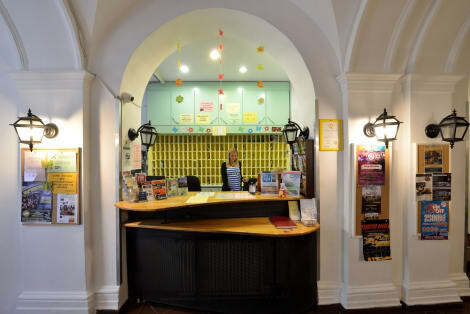 The hostel is open all year round and you can always find somebody at reception round the clock to help you. No matter where you are in Budapest, you can easily get to the hostel by bus, metro or tram. The hostel has a huge and cosy lobby area. The smart 3-star Novum Hotel Thomas is well-located for exploring Budapest’s sights, being within easy walking distance of the Grand Boulevard and the Corvin-negyed metro station. The hotel offers a breakfast buffet and on-site parking for an additional fee, as well as a 24-hour reception service and free wi-fi. Rooms are filled with modern comforts like flat-screen TVs with cable channels and private bathrooms. A 2 level floating hotel, the botel Lisa is painted white and has a pitched brown proof. There are lots of windows on all sides of the hotel offering views of the river or island. Budapest has a wealth of natural thermal baths, leading to the nick name “City of Spas”. For recharging after a hot day in the summer to warming up in winter, there is nothing quite like soaking in water heated by the earth. If your Budapest hotel is near the Buda area, pop into the Gellert Baths. Built in the early 20th century, the site has been known for its waters since the 13th century. A few of our favourites are the Rudas Baths, built in the 1560's and the open-air Lukacs Baths. Originally founded by Celts and becoming part of the Roman, then Ottoman empires, Budapest is rich in history. Whichever hotel in Budapest you book there'll be landmarks from its impressive culture standing nearby. Buda Castle, first completed in 1265, is an impressive sight overlooking the Danube River and is the historical palace of the Hungarian kings. Another impressive sight is Neo-Gothic building, The Parliament, the tallest building in the city having been erected in the late 19th century using 40 million bricks. There are plenty of places dedicated to Budapest's past. The Budapest History Museum has four floors dedicated to the history of Hungary and the surrounding areas. Memento Park is an open air museum looking at the country's communist period from the mid-to-late 20th century. Expect huge bronze statues of Lenin, Marx and Engles. If you're an art admirer, head to The Art Gallery on Heroes Square with constantly changing exhibits by Hungarian and international artists alike. Budapest has embraced shopping culture and the last few decades have seen a huge rise in department stores and specialist boutiques. Designer brands like Hugo Boss, Tommy Hilfiger and Lacoste can be found in the lively centre and connecting Vaci Street shopping district. If you want a one-off treasure, head to Falk Miksa Street, known as The Antique Row, full of shops and galleries. WestEnd City Centre houses more than 400 shops and can be found near the Nyugate Train Station, our favourite is Corvin Shopping Centre, right in the heart of the city. Budapest is proud of its culinary roots. If you booked a Budapest hotel near the Szemlohegy area, head to Rezi Serpenyos for some authentic Hungarian food, a hit with the locals, which is always a good sign. Borkonyha Winekitchen has put a contemporary twist on traditional Hungarian cuisine in a candle-lit setting. Ruszwurm, which is in the Castle district and has been serving since 1827, is the perfect place for an afternoon coffee and speciality cakes. With the British weather highly temperamental and often cold in the evenings, Budapest can make a welcome change. We've featured this amazing city in our Where's hot in August guide, with more information on their summer showpiece and festivals.